Teldor is the leading fungicide for controlling botrytis (bunch rot) in grapes and the only Group 17 fungicide to be registered in Australia. Teldor also controls botrytis (grey mould) on strawberries. 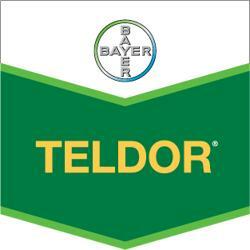 Like most Bayer CropScience products for use in horticulture, Teldor is â€˜softâ€™ on beneficial insects (when used as directed) and fits very well into an IPM program. It can be applied at various stages throughout the crop growth cycle.